Moon Festival greeting cards. Sold in sets of 10. Each order contains 10 piece of Chinese greeting cards for the Moon Festival or Mid-Autumn Festival. The cover of the card contains the hollow design of ancient Chinese window. 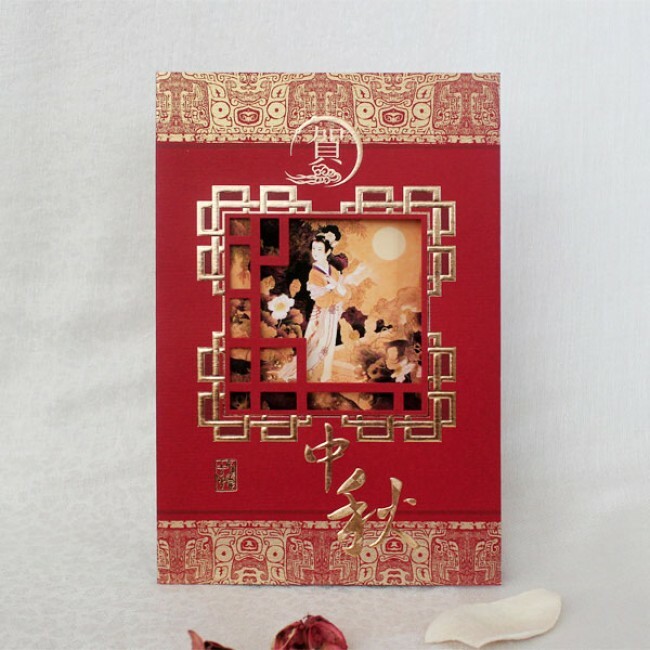 Each card contains traditional Chinese painting of the legendary Goddess in the Moon, and golden Chinese symbols for "celebrate the moon festival". 5.6" X 8.5" (14.3cm X 21.6cm), folded paper cards, envelopes included.